Recently, besides never ending improving of features and fine-tuning of Locus UX, we’ve been focusing on enlarging the portfolio of maps. Let’s remind – in a few recent months we added terrific trail maps of the USA by NeoTreks, satellite images by USGS, Great Britain maps by Ordnance Survey, European maps by Kompass, Polish hiking maps by Compass or very detailed maps of Belgium by IGN. The map offer, therefore, grew significantly and besides the Locus Store where you can view and purchase these maps we haven’t presented the maps much. 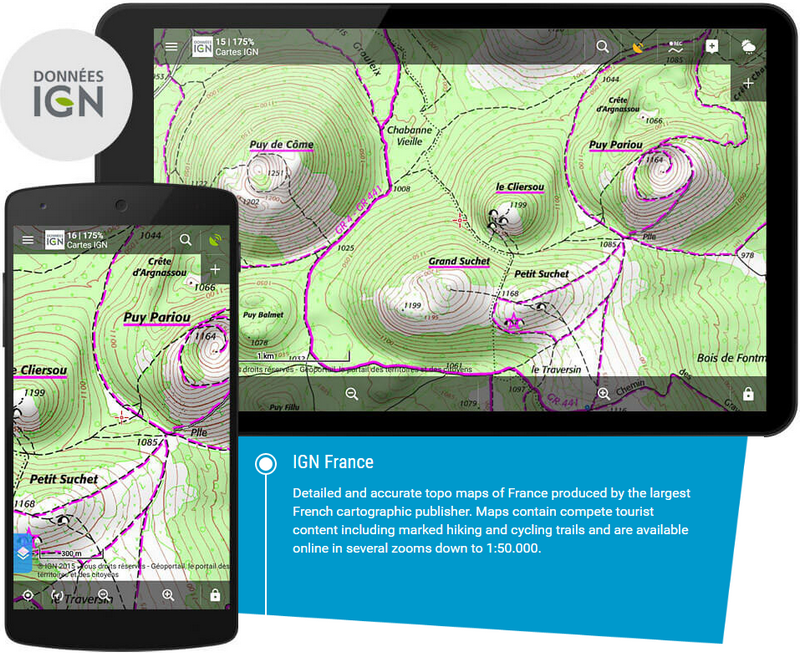 It’s about time to change it – we’re introducing a new web page with Locus premium maps. When you call something “premium” it usually means that the thing is pricy and has some extra value high above the standard. We took a slightly different point of view at this term and among the maps we’d like to present we included also the basic maps of the OpenStreetMap project that we offer for FREE both for online viewing and downloading for offline use. OSM maps have come through a great development over its short history, they are growing in detail and are very accurate. Locus Map has offered them since its very beginning, they are still widely used and we don’t see a single reason why not to include them in premium maps too. FREE are also first three packages of vector Lomaps, that we generate from OSM data. LoMaps are the only maps fully optimized exclusively for Locus Map application – their content can be changed according to the user’s activity and they contain offline addresses and a vast database of points of interest. Besides the news mentioned at start, the web page, of course, presents also already introduced map makers. Maps of the German Outdooractive, Austrian Freytag-Berndt, Czech SHOCart, French IGN or Swisstopo can be found in Locus for quite a while. 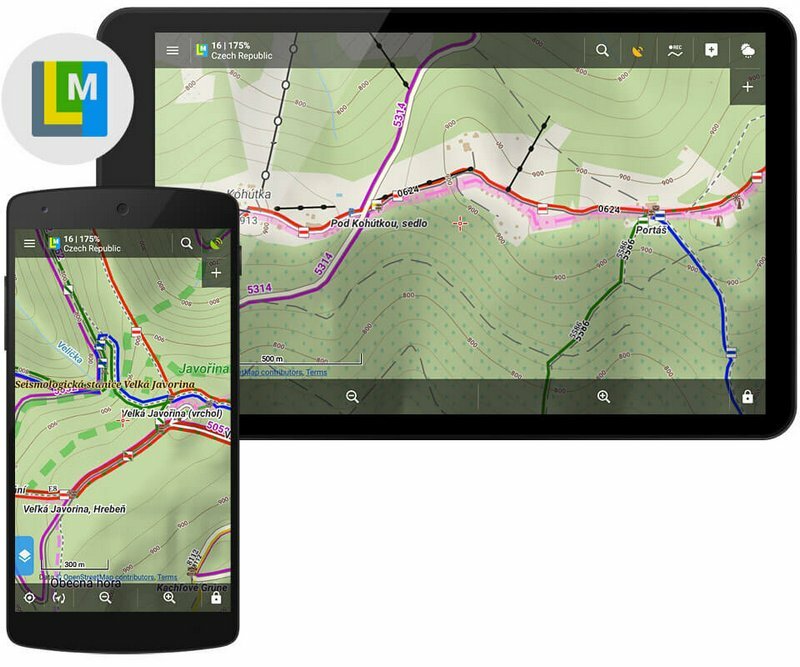 Each map producer or provider is presented by a large graphic depicting the map on a mobile and tablet screen, and an article informing about coverage, available scales and content of the map. All maps can be obtained in our Locus Store that is an inseparable part of Locus application. 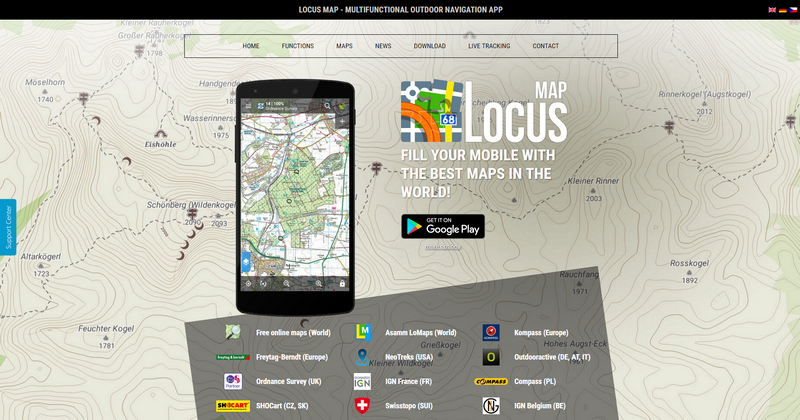 We hope that the new web page will help you find the map you need for even better experiences with Locus!